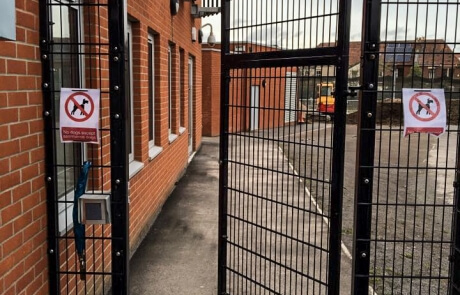 All of our full-width vehicle gate designs can be scaled down for use as pedestrian gates, making pedestrian access to your premises as quick and easy as possible while maintaining your security. Call 0117 978 6095 today to learn more. Why have a dedicated pedestrian access? 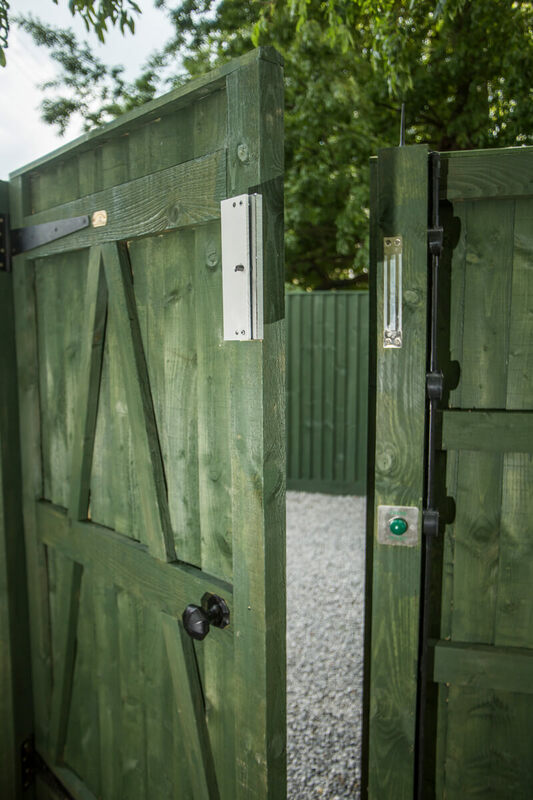 Providing a smaller gate for those on-foot can save a significant amount of wear and tear on your main vehicle gates. 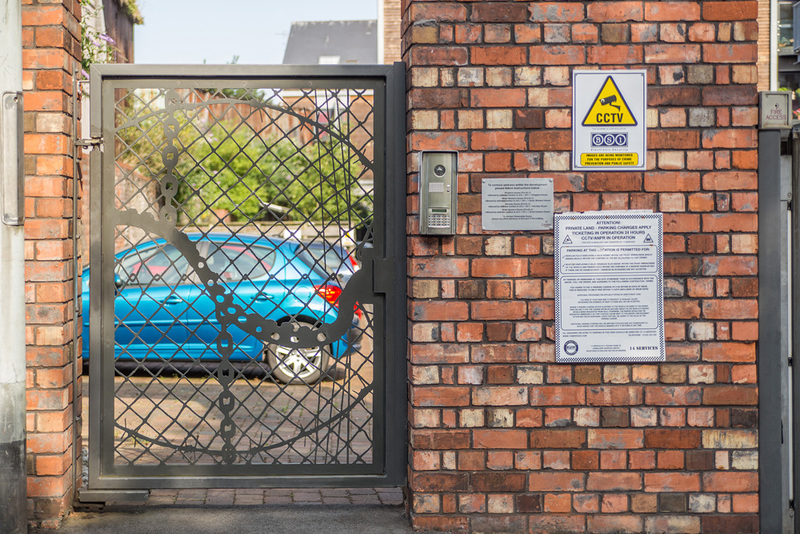 The smaller pedestrian sized gates save a huge amount of weight, meaning they are much better suited to high-volume, high speed, but light weight traffic. Parts last longer, service intervals can be less frequent, and breakdowns occur less often. Dedicated pedestrian access systems also speed up the process. 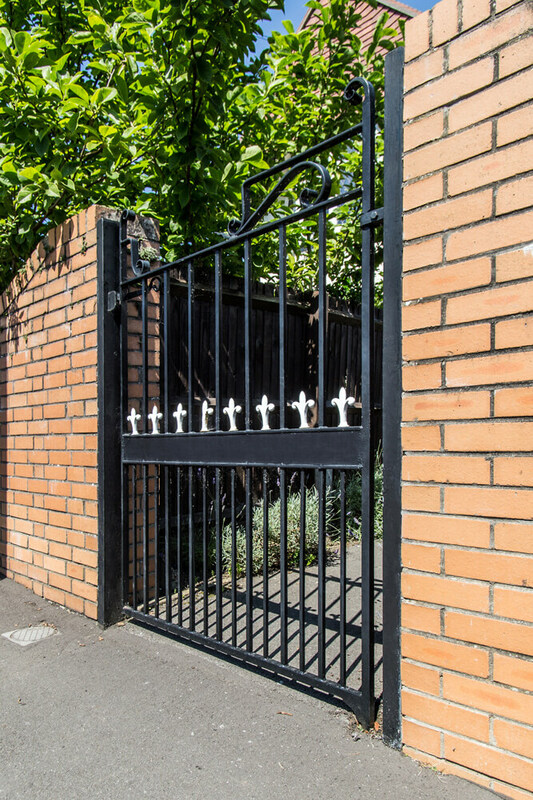 Our pedestrian gates are expertly manufactured, using the finest materials such as timber and steel, in addition to using the latest equipment and joinery techniques. 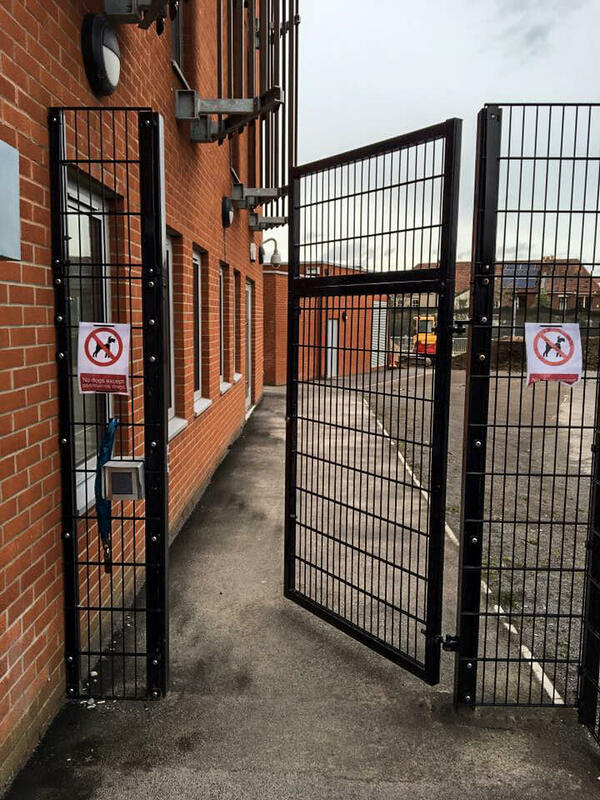 Each gate is able to stand up against harsh weather conditions and is resistant to wear from rust or general corrosion. 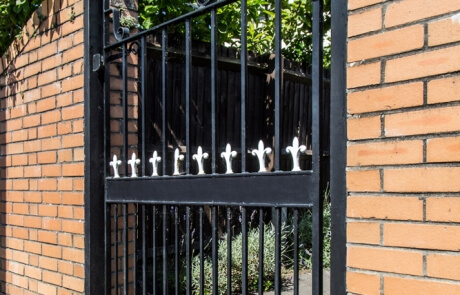 Choose from our standard gates or opt for a bespoke design that is made to measure. Tailored to suit your precise requirements, thanks to our experienced team of craftsmen and state of the art, Bristol-based workshop. You can even have custom designs on your gate. Whether that’s your business logo or a design that is personal to you. Simply speak to a member of our friendly and professional team to discuss your ideas and requirements. We can create bespoke gate designs here in Bristol. Find out more about our custom gate design service. 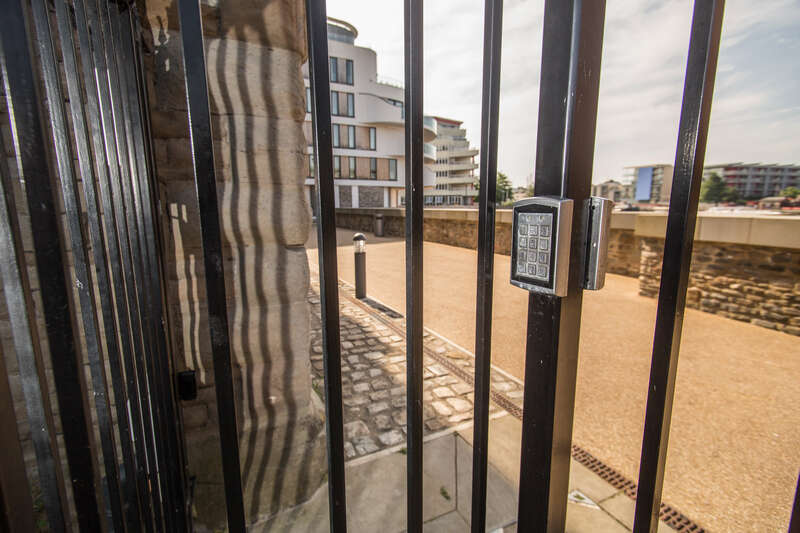 At Elex Gates & Barriers, we offer a wide range of gates in varying styles, shapes and attractive designs. Find the right entry gate to suit your aesthetic. 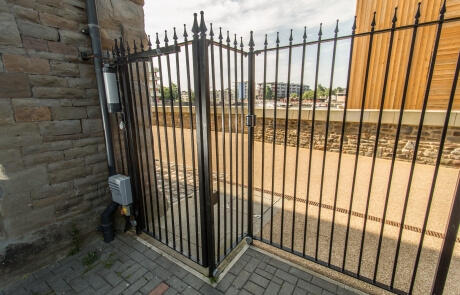 See above for some examples of gates we have installed in a variety of different commercial and domestic properties. 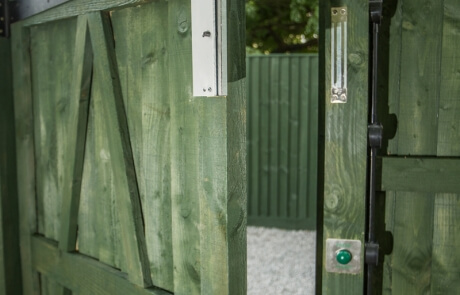 Our gates are extremely secure, offering strength, durability and reliability. 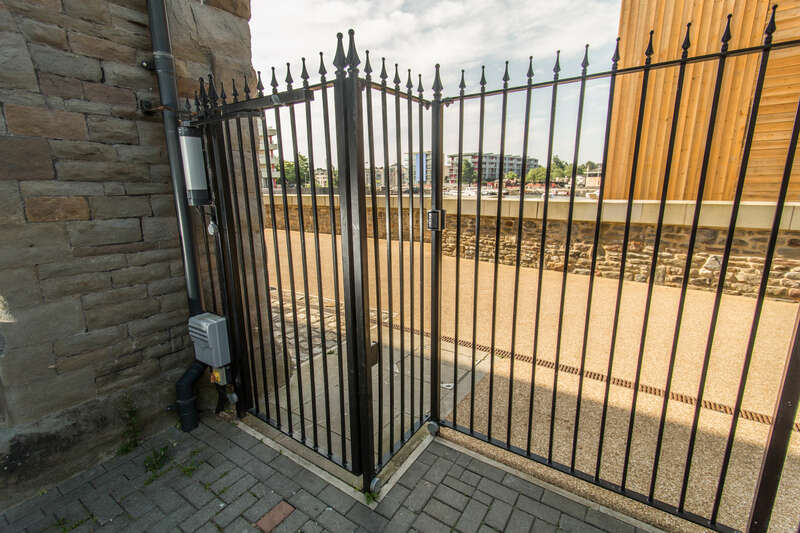 Each gate comes with a fully comprehensive guarantee for your lasting peace of mind. We also offer ongoing service and maintenance packages to keep your gate working smoothly and safely for years to come. 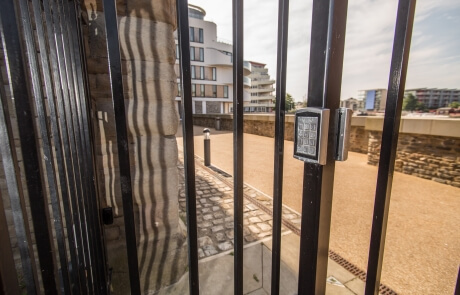 Why not add an extra layer of security, with an integrated access system? We can install gates with electronic access control systems such as keypads and intercoms. Find out more about our automation and access systems, or call to ask a member of our team. Get a free quote for pedestrian gates today. Call 0117 978 6095 or complete our online contact form. To see our range of driveway gates and commercial vehicle gates, browse our pages.